Every other business is trying to set its foot on the online platform. The amount of data that is getting generated today online is huge. 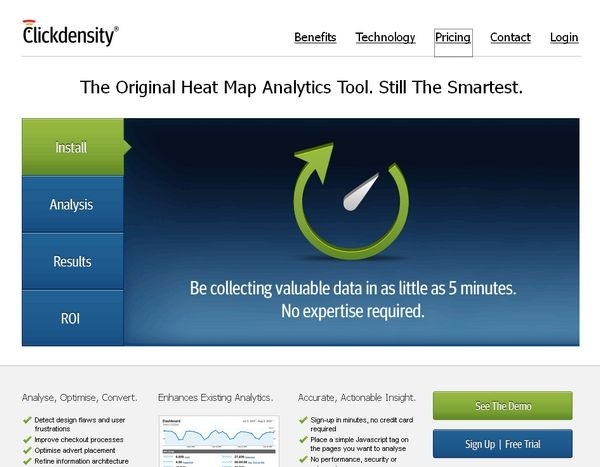 Every other website now uses some kind of analytics software to know their visitors. Analytics is nothing but some kind of software used by organizations and individuals to understand data. 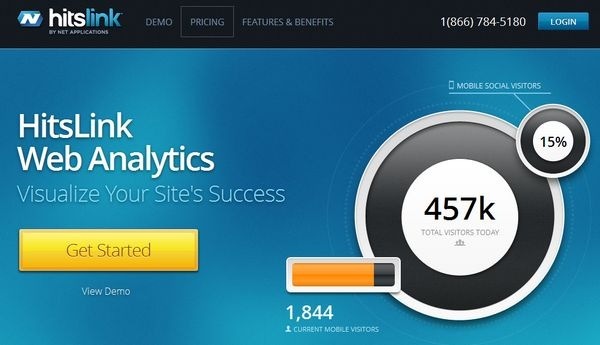 When it comes to ecommerce websites, analytics becomes the center point. It becomes utterly important to know the behavior of their visitors. Various Analytics softwares provide content analysis, mobile analysis, social analysis, advertising analysis, etc. A properly implemented analytics gives you a wealth of information that can be put to use for the best of the benefit of the company. Using proper analytics, ecommerce company comes to know where their sales are coming from, where your sales are taking a hit, when is the best period to market your product, whether your marketing strategy is working or not! Some analytics softwares also provide the trends that your visitors are following on your site. There are some analytics that provide where your visitors are clicking more and what section of your page is not at all viewed, this can result in a proper placement of your call to action buttons! Analytics also provide you the websites that are bringing you more sales, thus helping you invest your money more smartly. 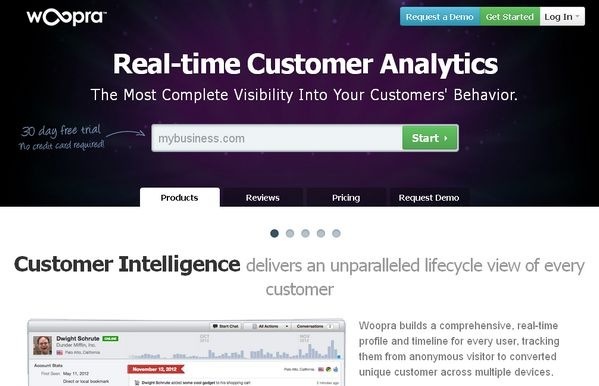 In this post we are publishing 14 Best E-Commerce Analytics Tools that businesses need to use on their websites. Google Analytics is the most popular web analytics. This is a heaven for many new entrepreneurs and small businesses. It is mostly free of charge. Google has also started a premium version, but the free version provides the kind of data that not many paid services could provide! Setting up google analytics for ecommerce is a bit tricky, but there are many tutorials online that could teach you the exact manner. It provide businesses not just with visitors and pageviews but with goals and conversion data. It also takes care of adwords and other social network campaigns that businesses may have setup. Another great feature is the real time data that it provides, is pretty impressive! 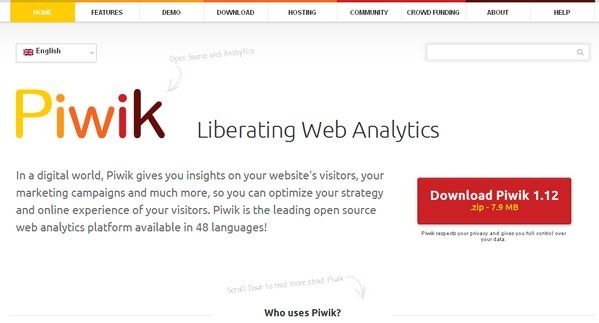 Piwik is another great analytics software that is open source. It has all the basic features like top keywords, search engine and website referrers, real time reports, campaign tracking, customizable dashboard, etc. Piwik also provides various features like abandoned cart metrics, revenues left in the cart, best products, best categories, etc. It also provides report for each order with the number of purchases of the product. Clicky is great tool, and for just $9.99/month it really is a bargain! Apart from all the other basic tracing of ecommerce websites, clicky also provides heat maps that help you to do your split-tests properly and make you understand what is working on your page and what is not! Woopra analytics provides a rich and comprehensive report of each and every visitor that visits your website. It tracks every action taken by every visitor to give a great insight into individuals and thus helping enhancing the user experience. It provides an individual level view to every statistic. 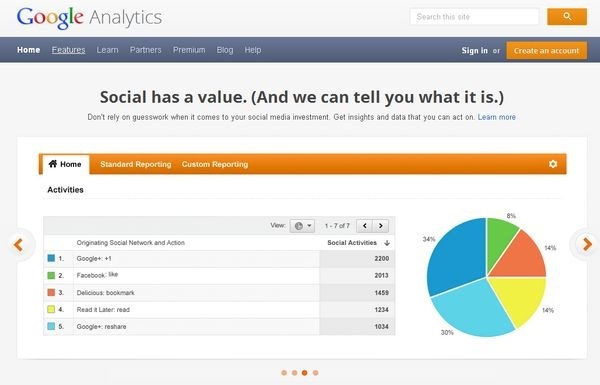 It includes some more features like funnel analytics, retention analytics, segmentation analytics, etc. 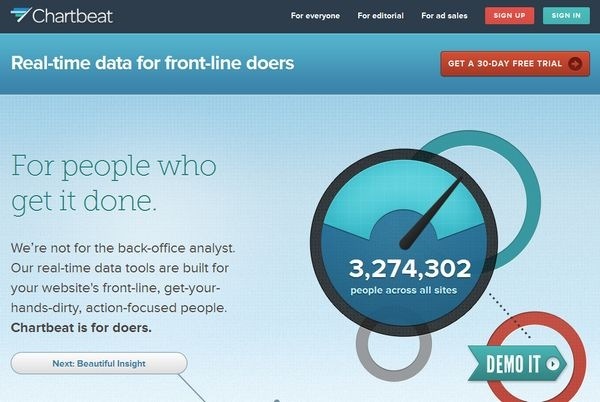 Charbeat is one of the best realtime analytics tool. Chartbeat’s real-time traffic and audience-behavior data shows you who’s on your site and how they’re engaging with your content right now — so businesses can take action on what matters when it matters. Mint helps you to understand where the most interest is getting generated and over what! 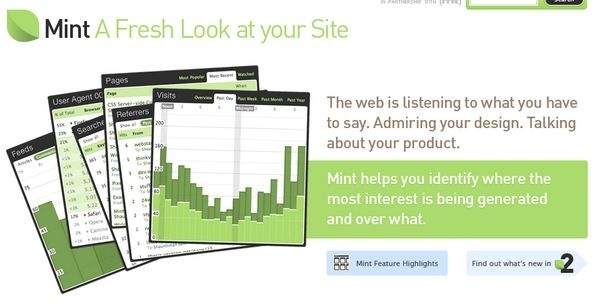 It helps you to understand your visitors in a more cleaner way. 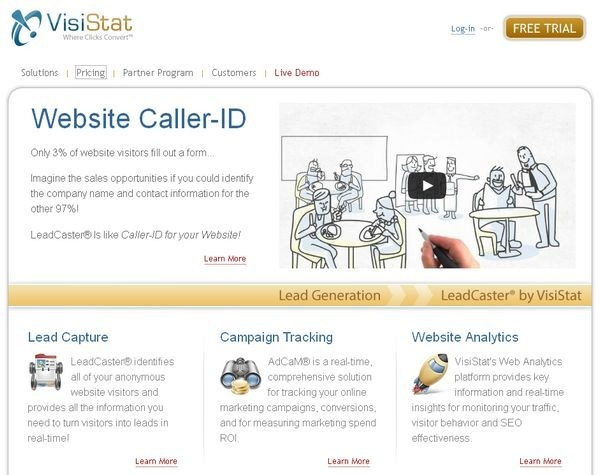 VisiStat is a cloud-based web analytics/customer intelligence platform that captures complex analytical data in real-time, and simplifies it specifically for small and medium-sized businesses enabling well-informed business decisions that maximize online marketing effectiveness and increase sales opportunities. It provides features like click-path information, customized, presentation-ready reporting, Online campaign tracking and ROI measurement, easily integrated plug-n-play solution. Hitslink provides realtime dynamic segmentation, integrated geo-targeting segmentation, integrated demographics segmentation, multi-campaign analysis, etc. 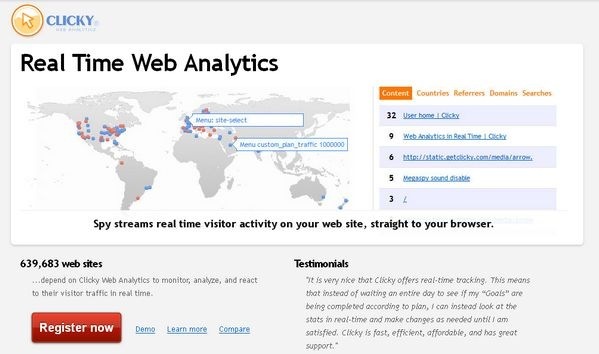 Web-Stat provides you a live, up-to-the-second statistics of your visitors. It also provides notification alerts for conversions or if your site goes down. 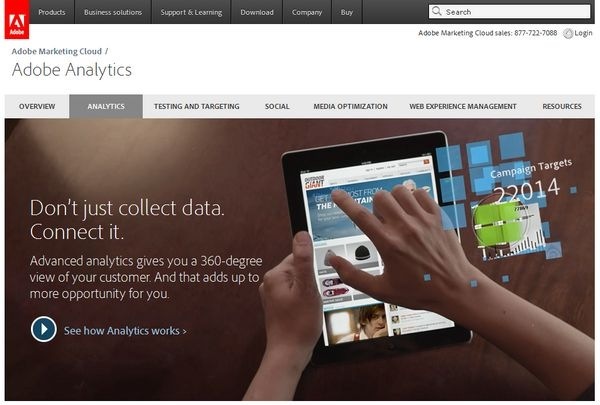 Advanced analytics gives you a 360-degree view of your customer. And that adds up to more opportunity for you. With intuitive and interactive dashboards and reports, you can sift, sort, and share real-time information to provide insights you can use to identify problems and opportunities. Snoobi helps ecommerce businesses to perfectly understand which of their marketing strategies are generating more ROI and which are not. 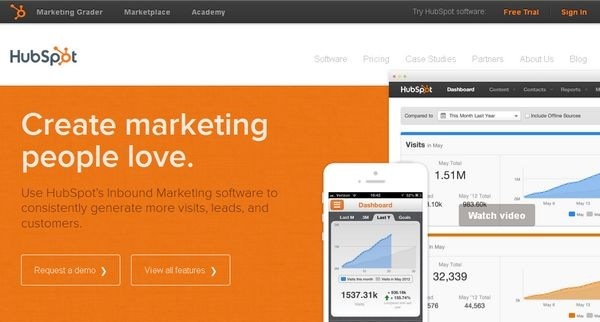 HubSpot provides people-centric reports. It also provides with full funnel analytics, goalss and predictive tools, conversion assists reports, landing page analytics, email analytics, call-to-action analytics, etc. 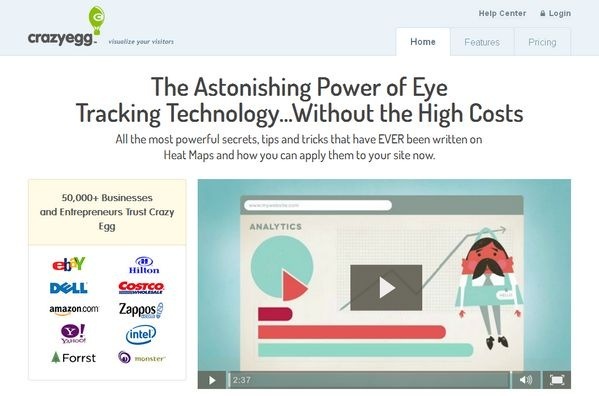 Crazyegg provides with tools like Heatmap tool, confetti tool, scrollmap tool, overlay tool for you to find the hidden profits trapped inside your website. Sounds great. Thank you for sharing with us.